Birmingham, AL. 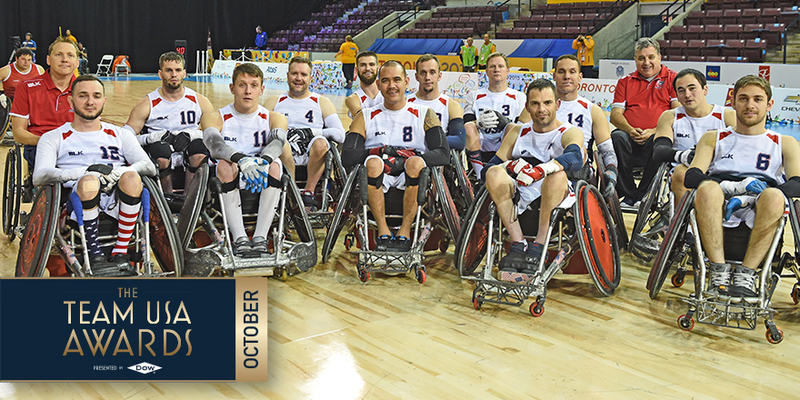 USA Wheelchair Rugby is a finalist for the Best of October Team USA Awards! The Team USA Awards presented by Dow recognize the outstanding achievements of Team USA athletes year-round. USA Wheelchair Rugby was selected as a finalist for October after moving up to #2 in the world rankings with their 57-54 upset of Australia at the BT World Wheelchair Rugby Challenge in London last month. Vote for the team now here http://www.teamusa.org/awards.